Last week six dead coyotes were found in and around London, ON. Here are the facts as we know them. 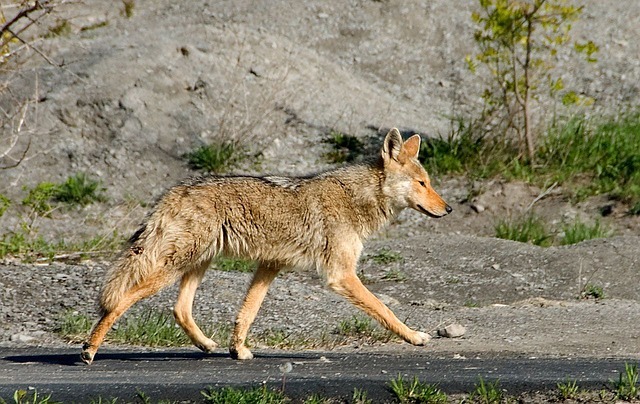 In each case, the coyotes’ bodies had been placed neatly in pairs in public areas in Parkhill, on the Western University campus in London, and (still unconfirmed) on McEwan Drive near Ailsa Craig. Two of the animals had been beheaded. One of those may have been shot. The other possibly died as the result of a trap. The two carcasses found on the university campus were destroyed by campus security before they could be examined. The Ministry of Natural Resources is investigating the other deaths and has not yet confirmed the killings are related. Coyote hunting is not illegal in Ontario. Middlesex County does not pay a bounty on coyotes, and bounty hunters normally do not behead animals. Let’s stop that baby right in its tracks. The animals were found dead. So far nobody has determined how they all died. Nobody has said they were beheaded live or tortured or sacrificed at an altar or that any other “ritualistic” act of killing was carried out.
.@CoyoteWatchCAN Understand the concern for coyotes, but pls don’t attribute killings to mental illness w/o evidence. Stick to facts please. I would like to suggest that when we hear hoof beats we think horses, not zebras. Coyotes are not the most-loved creatures in the world. In fact, they are famously hated by ranchers and farmers and just as often feared by urban homeowners. Many people want them dead or at least far away. So it doesn’t take a satanic cult (or whatever is implied in “ritualistic killing”) or a mentally disturbed person to kill a coyote and even behead it. Regular people do these things. As for laying out dead animals for unwary urbanites to stumble on, it doesn’t take much of a leap to imagine a couple of guys in a pickup truck thinking that would be hilarious. Sure, that’s a stereotype, but also a reality I am very familiar with. Coyotes may be legally hunted in most of Ontario and the season is currently open for all hunting regions. So while the killer(s) of these animals have probably broken hunting or firearms regulations (for instance, as far as we know, no hunting seals were found on the animals) it is not unusual or illegal for coyotes to be killed at this time of year. Not only do coyotes take heat from ranchers and urbanites, but like wolves and other large predators, they also attract more than their share of trophy hunters, thrill seekers, and people who just plain hate them and want them dead. As well they lack the charisma of such “noble” animals as wolves and orcas, so don’t have a lot of public support behind them. For perspective on the case here in Ontario, I did a bit of Googling and came up with a few similar stories and one particularly bothersome video that I’ll link to but not display here. The carcasses of nearly 40 coyotes were discovered in the desert just west of the Las Cruces airport. An ABC-7 viewer says one of his friends ran across the remains, some with wooden blocks in their mouths displaying numbers, presumably the date when they were shot. And while that sounds like something that only happens in the American west, it turns out such contests are not uncommon here in Ontario. Coyote hunting contests have been held in Cornwall, Osgoode,Windsor-Essex to name just a few recent events. There has even been talk of a province-wide sponsored cull. These contests or culls have not been curbed by the Ministry of Natural Resources. 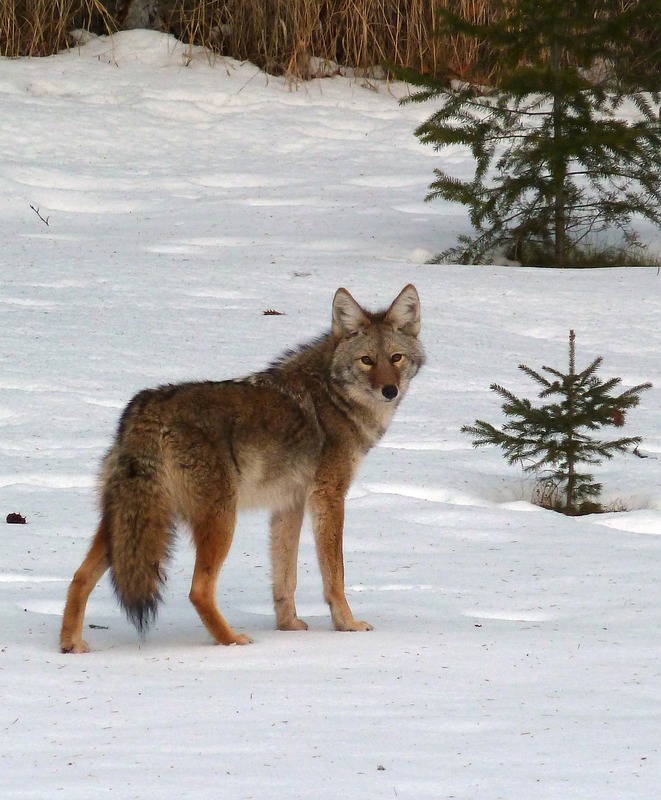 Across much of Ontario coyotes can be hunted year-round and there are no kill limits. So as long as hunters abide by hunting regulations, nothing can be done to stop the contests. The same is true in Alberta. This year’s Alberta Beach hunt attracted more than 60 hunters who paid $50 a piece to compete for cash prizes and hunting gear. My point is not that culling events that create a carnival atmosphere around the non-selective killing of animals are acceptable. They are not. My point is not that displaying coyote carcasses (or that of any other animal) is acceptable. It is incredibly disrespectful. My point is definitely not to argue how long a hunting season on coyotes should be or whether or not it’s warranted or even whether hunting is morally right or wrong. This is a blog, not a book. My point is that, when these things happen we should not let our imaginations run away with us, envisioning satanic cults or crazed mentally ill killers who are one step from murdering our children. Regular people do these things — whether for the thrill, the shock value, the trophy, the win, or just out of sheer anger, fear or stupidity. Now let’s hope the MNR finds these folks and prosecutes for every regulation they’ve broken.